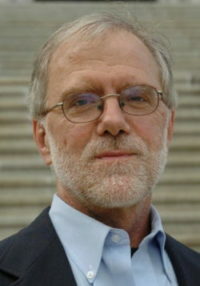 Howie Hawkins, the Green Party’s candidate for governor of New York, admits that he isn’t very likely to win the vote on November 6. But Hawkins is urging New Yorkers to vote for him anyway — because, he says, he represents a “plan B” for voters who are fed up with Governor Andrew Cuomo. Hawkins says that by voting for him, New Yorkers will be letting politicians in Albany know that they want a more progressive agenda. “We don’t have to win the office to have an influence. Of course, we do want to win the office,” Hawkins said. Can Syracuse's former mayor win her home city? Stephanie Miner, who spent eight years as Syracuse's Democratic mayor, is making a longshot bid for governor with an upstart political outfit based in Colorado. She's one of five candidates on the ballot, including another Syracusan, Green Party activist Howie Hawkins. Miner rankled many in her own party when she decided to run as an independent. And her support so far in the campaign has been fledgling -- she's polling around 2 percent. How will she do in Syracuse? Can she keep up with the two major party candidates in her hometown? Will she get enough votes to best Hawkins or even Larry Sharpe, the Libertarian with a base of support in Syracuse?